We aimed to identify the coronal plane alignment of lower limbs in patients with unilateral developmental hip dislocation (UDHD) and observe the difference between Hartofilakidis type II and III. 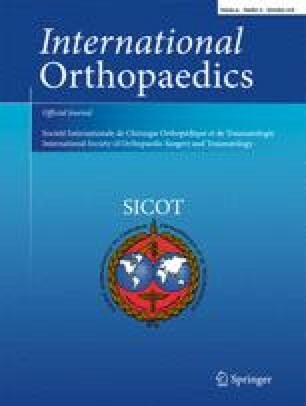 The radiographic data of 76 patients who met the inclusion criteria were retrospectively reviewed, including the hip-knee-ankle angle (HKA), mechanical lateral distal femoral angle (mLDFA), anatomical lateral distal femoral angle (aLDFA), mechanical proximal tibial angle (MPTA), and lateral distal tibial angle (LDTA). The valgus alignment on ipsilateral side was most frequently seen in both Hartofilakidis type II (51.3%) and type III groups (67.6%), whereas for the contralateral side, the neutral alignment in type II group (69.2%) and varus alignment in type III group (51.4%) were most commonly observed. Both the mLDFA and aLDFA of the ipsilateral side were significantly smaller than the contralateral side. UDHD patients may present with lower limb malalignment on both sides. The ipsilateral valgus alignment is the most common deformity. On the contralateral side, Hartofilakidis type III patients may be more prone to be varus than type II patients. The lower limb malalignment and deformity of the ipsilateral distal femur should be considered during surgery involving hip, knee, or femur. We received the ethics committee review board approval from our institution before the initiation of this study.